Like our clients, we are never satisfied with the status quo – short-sighted campaigns with results that die down in a day, boring press releases, unimaginative pitches, no strategies to capitalize on even the best coverage. Rinse and repeat. Here’s the thing – just like laundry, rinse and repeat only shrinks your results. At Clarity, we build every campaign bespoke, never settle for “good enough”, and are actively building new proprietary technology to amplify our results. Company Goal: Move Fast. Break Nothing. Often quoted in Silicon Valley circles is Facebook’s famous mantra “Move Fast and Break Things”. The unofficial motto of startups, it encapsulates not only a willingness to disrupt the status quo, but also a necessity to constantly be iterating, improving, and not worrying about the consequences until absolutely necessary. So what happens when you want to bring that same mindset to the world of Wall Street where innovation runs head-long into decades of necessary security and regulatory procedures? What happens when you have an innovative service, app, or platform that can only receive an update every 4-6 months? “Move fast and break things” won’t fly in that environment, so OpenFin set out to create a new world where Â companies could “move fast and break nothing”, launching the first OS created specifically for Capital Markets. The challenge for Clarity was two-fold: at first glance, OpenFin is both “too techie” to appeal to finance press and “too financie” (a new word we just made up) to appeal to tech press. The company needed a messaging and communications strategy that spoke to the complexity of the problem and the sophistication of their solution in terms that were accessible to each audience without sacrificing their credibility by oversimplifying in any given direction. Cutting through the noise during the stretch from Black Friday to Cyber Monday is almost as challenging and stressful as actually shopping during that weekend. But, when Loquate challenged the Clarity London team to do just that, we didn’t flinch. Over the course of 2 months leading into Black Friday, Clarity and Loquate developed what would be known as the award-winning “Golden Quarter” campaign. Understanding that media outlets would be cranking out retail analysis articles fast and furious during this weekend, Clarity turned Loquate into *the* go-to resource for any media outlet looking for shopping data and expert analysis. In addition to creating a series of stories based on PCA’s real-time ecommerce data, the PCA Predict team actually spent Black Friday at the Clarity London offices, which were converted into a non-stop News Room, serving up live data to hundreds of journalists as Black Friday and Cyber Monday evolved. To say that the Golden Quarter campaign was a success would be an understatement. The fantastic results the team achieved were recognised at group-level and several customers got in touch to request our bespoke data reports, which has supported our sales and customer delivery teams in strengthening key relationships. Not only did we generate wall-to-wall media coverage in the most influential media outlets in the country, but we also saw a 29% increase in new business between October and January when compared to the year before. Already working with Clarity’s London office, HYPERVSN came to Clarity in NY with the specific goal of maximizing their participation at the annual Consumer Electronics Show (CES) in January 2019. HYPERVSN would be launching two new products at the show, and they had high expectations for garnering media attention at the show. They wanted to generate a considerable quantity of tier-one coverage, conduct 50+ on-site interviews and secure at least one appearance on a major network television morning show. Clarity NY worked closely with their UK colleagues in the planning stages, learning from experiences with the flagship HYPERVSN product at the IFA show in Berlin. With the extra insights, the NY team was able to develop strategies that would build on the prior successes. To break through the considerable “noise” at CES, Clarity proposed HYPERVSN secure a celebrity spokesperson whose notoriety would guarantee on-site media attention. Multiple options were explored, and Criss Angel, whose renown as an illusionist is symbiotic with HYPERVSN’s holographic technology, was ultimately selected for the campaign. With the celebrity on board, Clarity began its ambitious and far-reaching media outreach, securing interest from key target outlets including lifestyle, advertising, virtual and augmented reality, business and general technology publications. At CES, two of the Clarity team provided onsite support, facilitating interviews with prominent outlets including CNET, Marketplace, GQ, Fortune, Forbes, The Verge, Wired, Digital Trends, USA Today, TechCrunch, Mashable, CBS Interactive, VentureBeat and CNN. Following the event, Clarity secured an additional opportunity with the Today Show, and the HYPERVSN device was prominently displayed throughout the aired segment. Preparing a company for an Initial Coin Offering (ICO) can be a challenge, especially when the company only has an MVP and a limited track record. For SMART VALOR Clarity needed to build credibility and brand visibility within banking, fintech and tech circles, as well as understand the hype among the crypto community ahead of its product rollout and public crowdsale. We sensed the potential of the company’s CEO Olga Feldmeier and looked to establish her as a global voice on bitcoin, blockchain and fintech in general. We rooted the campaign in a comprehensive content strategy built on informative advice and engaging thought leadership. With her credentials established, we then gave Olga Feldmeier the moniker the ‘Bitcoin Queen of the Crypto Valley’ and secured a host of high profile print and broadcast opportunities where she commented on everything from the price of bitcoin to the growth of female CEOs in tech companies and the ongoing economic implications of collapse of the Soviet Empire. We also tracked breaking stories which we considered would give Olga the opportunity to add her unique and insightful perspective. We also leveraged Olga’s attendance at a series of events including Consensus 2018, Money 2020 and Blockchain Summit to generate broadcast opportunities. The campaign paid off handsomely. Within two months Olga was seen as a major innovator and thought leader in the fintech/crypto world and was featured in major broadcasters/print titles/websites such as CNN, Business Insider and Forbes. Extreme Reach, who provides workflow solutions for video advertising as well as rights management for commercial talent, brought Clarity on board to raise the company’s profile among audiences including advertisers, agencies and production houses. Clarity’s aggressive media relations program for Extreme Reach has followed a problem/solution format, highlighting how their technology eases major pain points of digital asset management and inefficiencies that persisted, even with the move to digital. For example, Clarity works with Extreme Reach each year to publicize how the company plays a critical role in the Super Bowl, handling over 70 percent of the ads appearing during the game. Clarity has also collaborated with Extreme Reach to create a series of quarterly video advertising benchmark reports that share metrics from the company’s platform and provide insights on trends in the industry. Not only do these reports receive coverage on the day of release, they continue to serve as a reference source long after. At the time we first engaged, the Clarity team did not have specific expertise in the payments industry, and the “mobile payments” space was just getting off the ground. It was with Boku that we developed our company-wide process for creating specialized teams with deeply vertical knowledge of any industry – working from Boku’s offices on a weekly basis, training our team members to understand every nuance of the space, building relationships with and constantly engaging with industry-specific press, and closely following the movements of competitors. Clarity worked closely with the company to develop messages that conveyed the complex technical solution and its value proposition in a manner that can be understood by retail and mainstream audiences as well as those in technology circles. We crafted positioning that was equally relevant to a single pawn shop owner and a multinational marketplace and executed on a communications plan that incorporated media and industry relations, content development, event participation and industry recognition/awards. For many Britons, falling back on payday loans in a bid to keep their family financially afloat until payday, has become a grim reality. Yet many companies that issue these loans apply crippling interest rates, which in some instances can plunge individuals deeper into debt. Innovative startup Wagestream is tackling the payday poverty cycle by allowing people to access a set percentage of their wages ahead of payday so they don’t need to resort to high interest loans or credit. 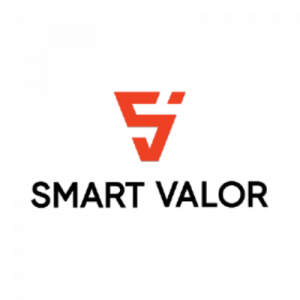 Wagestream tasked Clarity with highlighting the negative impact of payday loans and presenting Wagestream as tech-driven, socially impactful solution. The company wanted to move quickly as a host of rivals from both the UK and the US were planning to offer similar services. Clarity kicked off the campaign with a high impact visual stunt. We created a funeral for payday loans. The images from the stunt were used widely across the media – including BBC, The Independent and The Guardian – to illustrate not just Wagestream’s proposition but also stories about the fall of payday loans companies in TechWorld and the BBC. The momentum continued at the end of 2018 with a survey about the cost of Christmas which was featured in popular UK tabloid The Sun. Other findings from the survey were used as a ‘January Financial Hangover’ story featured in the Daily Express, The Independent, The Guardian and Forbes. Wagestream has now established itself as the market leader in the UK and has become the first port of call for comments about payday poverty, flexible pay and workplace debt. Cheq enlisted Clarity to help position the company’s technology for preemptive brand protection. Clarity helped to create an ownable narrative under the banner of “Autonomous Brand Safety,” with messaging and proof points that support CHEQ’s differentiated approach. With the aid of a team of advertising experts, Clarity unleashed an aggressive content marketing campaign to advocate for the idea behind the narrative and support it with data. Clarity specialises in working with disruptive tech companies, yet few are quite as ambitious as DADI. The company wanted to democratise cloud computing taking on the likes of Amazon, Microsoft, IBM and Google in the process. Its magic bullet was its blockchain powered DADI app which allows any device owner to rent their computing power to the DADI network and receive payment from enterprise users. Clarity faced two interesting challenges. Firstly, the company had launched a successful Initial Coin Offering (ICO) which had raised $28 million. Yet there were misconceptions about the ICO and the company in general, especially in the enterprise tech world. In tandem,we had a short runway to help reposition DADI but also start attracting contributors to the DADI network. To overcome these challenges we employed a quartet of approaches. We harnessed traditional media relations tactics of newsjacking and thought leadership to establish credibility. We also created a ‘launch moment’ around DADI’s mainnet go-live, with a news sell-in generating trade, national and international media attention. Finally, we brought the story full circle by launching the non-profit DADI foundation and its first charitable grant. The results spoke for themselves. The main objective was to create positive sentiment and we achieved this with 98% positive coverage over the three months. The company is perfectly placed now for the next stage of its journey. Led by one of the most energetic, engaging, and hardest hustling young startup CEO’s in the world, Vincent Nallathamby, a small team of engineers out of Paris embarked on a mission tech giants long ago abandoned: unlocking the true potential of the Bluetooth protocol. Few people think about it when pairing their phones to earbuds or a home speaker system, but Bluetooth is an incredibly powerful piece of software that can be used for so much more than “connect device A to device B”. Back in 2016, Vincent and the team at Tempow took this misunderstood piece of tech under their wing and built the Tempow Audio Protocol (TAP) with the initial application of allowing one phone create a surround sound system with any number of speakers from any 3rd party brand. This test case proved incredibly fruitful when they caught the eye of Motorola and became one of the showstopping features for the Moto X4, unveiled at IFA 2017. These days, we take face recognition for granted, as it does everything from unlocking your phone to helping police find missing persons. Not that long ago, however, mass adoption of face recognition was still locked in the realm of science fiction. Unlocking the potential of this nascent technology was the challenge faced (ahem) by Face.com when they launched back in 2008 with a small team based in Tel Aviv. Another challenge, this time for Clarity: like most great sci-fi technologies, teaching computers how to identify any human, anywhere seemed just as likely to spawn Skynet as the iPhone X. The team needed a strategy that put a friendly face (ahem again) on a deeply technical product that had just as many potential pitfalls as benefits. Working with Face from the moment they launched to their acquisition by Facebook in 2012, the Bay Area Clarity team developed a strategy that highlighted both the consumer and developer-friendly sides of the company. Primarily, they provided API resources to software developers, large and small, including a variety of programming tools centered on face recognition and face detection. A significant part of our role with Face.com was building out their developer network, from small independent app developers to large multi-national partners such as Intel. We helped Face.com grow their developer community from an initial node of several hundred people to a community of more than 45,000 active members, through a combination of media outreach, direct messaging, newsletters, events, Hackathons and speaking opportunities. 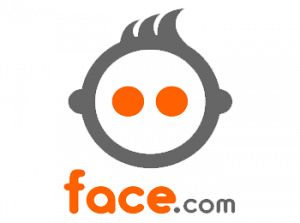 Face.com grew to be the premier provider of consumer face recognition and detection on the Web. Whether it was launching direct to consumer products like Photo Finder (to find photos of yourself on Facebook), highlighting odd and attention-grabbing consumer applications from Face users, or putting on amazing parties featuring the vocal stylings of Randi Zuckerberg – Clarity also developed strategies designed to demystify this extremely mysterious tech. Eleven James, a luxury watch rental subscription service, brought on Clarity PR for the relaunch of its platform and the debut of its curated collections. Already on the industry radar, Eleven James need Clarity to reinvigorate the brand messaging and show how the company had evolved since its last media push. In a heavily media-relations focused campaign, Clarity utilized all angles of the launch to appeal to a wide audience. To maximize coverage, Clarity integrated the brand story with the business story, which allowed us to penetrate business, fashion/style, luxury, and watch trade publications. Additionally, Clarity arranged briefings between Eleven James’ executives and top-tier targets. VRBex, a US-regulated cryptocurrency financial services brand, enlisted Clarity to build its reputation as a company bringing credibility, transparency and trust to the crypto space. The campaign needed to increase brand visibility beyond the sphere of crypto, with reaching potential partners and investors being a key objective. Prior to the launch of VRBex, Clarity rolled out a program grounded in thought leadership, developing and placing VRBex-bylined articles that presented unique points of view in stark contrast to existing narratives in the space. To further build credibility, the team positioned Founder and CEO Gene Grant as the most knowledgeable resource on the regulation of crypto and security tokens through briefings with high-profile trade media and influencers. At the time of launch and pre-sale, Clarity leveraged the newly-elevated profile for an aggressive media relations campaign, for which the ability to provide industry insights and offer substantive commentary on breaking news stories served to amplify results. Visto came to Clarity following bold changes within the company that was still, at the time, known as Collective. With the knowledge that transparency in digital advertising would soon be an industry rallying cry, CEO Kerry Bianchi steered the company in a new direction and turned the 11-year-old ad network media business into a forward-thinking technology company committed to bringing simplicity, transparency, and efficiency to digital marketing. Clarity worked in partnership with the internal marketing team to completely redefine the company and develop new messaging that would reflect the value proposition of their platform, the Visto™ Enterprise Ad Hub. Both before and after introducing the vendor-neutral platform to the ad and marketing tech community, Clarity played a vital role as trusted advisor, providing counsel on both internal and external communications following the rebrand. Clarity executed a highly content-driven campaign for the company while also putting the dynamic CEO in the spotlight. Through bylined articles, reports, white papers and speaking engagements, we successfully established the company as one leading the charge of transparency in programmatic advertising. After a deep dive into the company and its strengths in the competitive,context Clarity helped to refine Wochit’s messaging to better highlight its differentiators and appeal to its primary customers. Initial positioning centered on the concepts of “journalistic storytelling” and “short-form social video,” and we focused on establishing Wochit as a partner who give expert guidance to media companies on how they can leverage video to engage with audiences across owned and syndicated channels. Tactics included preparation of quarterly reports, the Social Performance Index, which provided insights on video production and consumption trends gleaned from thousands of videos from hundreds of Wochit users. We also aided in preparation of eBooks and other educational materials. For the CEO, we instituted an aggressive thought leadership program, publishing numerous bylined articles with target publications and providing rapid-response commentary on issues relevant to video and publishing..